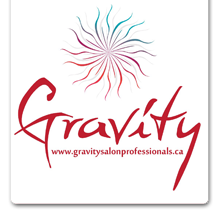 Over the years we have had stylists come and go, but at this point in Gravity’s career we are stronger and more solid than ever! Our current team consists of 6 stylists, a receptionist and a client communications and social media coordinator. Our stylists are all extremely experienced and professional, being either Master or Senior stylists who have been in the industry for well-upwards of 10 years. Many of our stylists are also educators for Goldwell, the exclusive colour line that we used in the salon, and travel around Canada and internationally to teach creative colour placement, new colour creations and much more! We also have stylists who educate for KMS, the largest styling brand that we currently carry in the salon, who teach other stylists around Ontario how to stay current and keep up with the latest global trends in hairstyling. These past 8 years have been full of continuing education for our stylists as well! Between cutting classes, hair painting class and advanced colour classes, all of our stylists are committed to delivering the best results to all of their clients every single day. We are constantly amazed at the finished products that our stylists create and how they just keep getting better and better with every cut, colour and style. Besides being skilled professionals though, our stylists and staff really do make coming to work feel like we’re coming home to family. The last 8 years have been full of laughs and learning, and tons of love and support for one another! We truly would not be where we are today without such an amazing support system and a solid foundation to grow our business from. Lastly though, and most importantly, we need to extend a huge thank you and recognition to our amazing clients who have both stuck with us over the past 8 years, and who have joined our Gravity family more recently. We wouldn’t be us without you and we love nothing more than seeing your beautiful smiling faces when you leave the salon with your brand new hair! We are always opening our doors to new clients and we love the new, individualized experiences that we get from each and every client who comes into our salon! Here at Gravity we are all about attracting what matters, and we can’t wait to open our home to you! THANK YOU for making us Barrie’s best salon!